I love when those Twitter connections become ‘real life’ connections. Thanks, Julia, for hosting Mia! And, Mia – what a wonderful story. I never cease to be amazed at the power of story … not only on paper — but in your specific situation, that in the power and the pull and tug OF a story (one that needed to be written), you found a jewel even greater. I love, love, love Meryl Streep (who doesn’t, right? ), so the book sounds fascinating and fabulous. Curious – have you met HER (I mean, we all love Harrison, too, but meeting Meryl??)? Has she reached out to you in any way relative to the book? Thank you, Melissa! And no, I haven’t met her (I think I would faint at her feet, seriously). The publisher of my imprint did send her “camp” a copy of the novel with a letter I wrote about why I was inspired to write the book and what her films have meant to me, but I have no clue if it ever reached her. I do know that the publisher and Meryl share a fancy hairstylist and that the book/letter may have been given to her that way, too. Not that she’d want the book shoved in her face while getting her hair cut! Julia – thank you for introducing me to Mia and her book. I can’t wait to pick up a copy. It sounds like the perfect book club read. PS: Now I have to come to Maine! It sounds like heaven on earth for dogs. I bet Reggie would love it. “It’s amazing how much we learn from the stories we tell in our novels.” Jacquelin, I love that. It’s so true. I think it’s my favorite thing about being a writer. And Maine is definitely heaven for dogs! Hi Mia! Hi Julia! As someone who grew up in Maine, and goes back every summer (as Julia will attest! 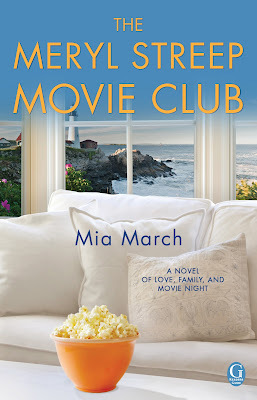 ;)) I loved this post, Mia–and loved the way you shared the evolution of your “romance” with your new home. Maine is so inspiring, and you captured its beauty perfectly. I already have my copy of the THE MERYL STREEP MOVIE CLUB waiting for me on my nightstand and I cannot wait to dive in! Congratulations to you and your loved ones on the success of your debut and I LOVE the title of Book 2!! Thank you, Erika! It’s hard to imagine now how I kicked and screamed and refused to love fresh air, nature, the ocean, mountains, even fleece . . . 🙂 I’m so happy to hear you have the book–I’m a fan of yours and loved Little Gale Gumbo and can’t wait for your new one this fall. Between Julia’s blog and this post, Maine sounds like a slice of heaven. I LOVE old buildings and try to imagine life among them when they were newly built. The book sounds great and look forward to reading it! Thanks, Hallie! I do that with old buildings too. It’s so interesting to wonder who lived there over the decades and centuries. I’ve been thinking lately about writing multi POVs with characters from the past and present because of just that. I love Twitter and Facebook and how they bring people together. I was so lucky to connect with Julia. 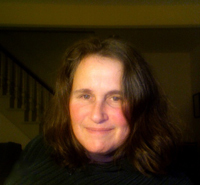 I think I joined FB and Twitter in 2009ish–if they’d been around in those earlier years when I first moved to Maine, that feeling of connection would have made a big difference. “It’s always amazing how art can grow out of adversity.” Yes!! I love that. I’ve found that in the new book I’m working on, I’m asking questions of my characters that I need answered for myself. Not sure if they will be entirely, but it’s interesting to see what the characters come up with. Thanks for putting the book on your list! What a wonderful celebration of Maine and the healing power of writing. Thank you! My husband grew up on the coast of Maine in a lobstering family. Family homes overlook Prospect Harbor on the opposite side of a narrow, winding road. We leave the forest of northeastern Maine to visit now and then. I’m going to add The Meryl Streep Movie Club to my book order today. It sounds like the perfect book to take to the lake next week. Thanks so much, Robin! I have so much more exploring to do around Maine. I hope to do several road trips with my son this summer and head up north. If you have any must-see spots. let me know! I loved this post! I agree who doesn’t LOVE Meryl Streep movies! I personally can’t imagine not loving Maine the way you describe it! We had an opportunity to live in Newport/Middletown RI for a year and I tell people we were on vacation the entire time! I loved driving and seeing the Ocean just come into view, the sailboats, the rocks, the lush greens, the old historic homes and buildings…oh I miss it miss the ocean air. What a paradise! I loved driving into small towns. Maine does sound even more rural and I did miss having a mall at Christmas time to go shopping (we had to drive out of town for any real shopping). Enough about me! lol. The more I read about your book the more and more I know I can’t wait to read it! Great interview and thanks for sharing! Laura, you describe Newport/Middletown, RI so beautifully that now I want to go! Thanks for the kind comments about my book too. Well now. You had me at, “I’m a city girl through and through.” As someone who grew up a block from Chicago, I am super curious to read about this transition from a heart that once belonged to the city—to a heart that is now content on the coast of Maine! How exciting to imagine Meryl reading your letter and book (here’s hoping!). Awesome that you and Julia connected on Twitter and then met in person. I’m jealous. I’ve been wanting that cup of coffee with her for a long time. 😉 Thanks for sharing your story, Mia, and thanks, Julia, for hosting. I guess my heart is split now–half city, half Mainey. I’ll always love both. What a great book idea, Mia! We can all identify with movies pulling family together, and most of us have seen the movies you use in your novel. I am looking forward to reading it and to reading your next one about Colin Firth. He’s always been a favorite! Thanks, Jolina! He’s long been a favorite of mine too. Love his face and voice. This is a GREAT story, and I’m eager to read it. Wanted to let you know that the links to follow you didn’t work for me! Boo-hoo! Thanks for the heads up that the links weren’t working — they should be all set now. Sorry for the inconvenience! Thank you also for your comment and your visit to my blog! Thanks, Jody! And thanks for alerting about the links!! Great post. The book sounds wonderful. Seems we are on the same wavelength–Meryl Streep, Colin Firth. 🙂 Best of luck with your work. They are just a perfect pair, aren’t they? Thanks, Karen! What a great interview and book idea! Can’t wait for book #2, as well! This looks like a great book. I’m adding it to my reading list right now and can’t wait to have it in my hands! Thanks, Rachel! Hope you enjoy it! What a gorgeous and inspiring story and what a beautiful sounding book. Loads of luck with it, Mia. The book sounds like something I would enjoy reading. I was only in Camden briefly, but loved it very much at the time. It was a surreal time for me because my sister was under the care of hospice and we knew she was down to her last days. In fact, that’s why the trip was very short. We got called home the morning after our first night there. For some reason, the emotional turbulence I was going through at the time, cemented Camden Maine to my heart. I hope to return some day. There’s a place very close to my heart for a very similar reason, and whenever I think about it, it’s bittersweet, but a comfort when I manage to get there (a certain spot in NYC). I love Camden so much I decided it’s where I’ll spend my retiree days (not sure if writers ever do retire, though). THE MERYL STREEP MOVIE CLUB by Mia March is the story of family who think it is all they can do to tolerate each other during Thanksgiving and Christmas, the only times they get together. When Aunt Lolly decides to call everyone home for an important announcement, sisters Isabel and June, their cousin Kat, and Aunt Lolly discover that their misconceptions about each other are just that. You will be amazed at the artful way the author brings the characters to life, as they discover themselves and come together as a loving family discussing each Meryl Streep movie’s message on movie night. I much prefer to read than to watch a movie, so I wasn’t sure this book was for me. I’ve only seen one Meryl Streep movie (“Out of Africa”) and couldn’t imagine how those movies could form the basis for the book. I was astounded! I had it all wrong. They didn’t form the basis for the story, they enhanced it. This was truly an enjoyable read. Check it out! Wow, thank you so much, Michelle! One of my favorite reviews yet. And to be honest, when I first had the idea, I wasn’t sure how in the world I would incorporate the films either! Loved your interview I also love mettle stereo movies and Maine.wonderful the surprising places and things that heal. Thanks for sharing the background to your story. I love debut novels– there is so much heart and soul poured into them! (I’m working on my own first book now, so you are an inspiration that it can happen!) Your book sounds intriguing, and the cover is so striking. Congrats and best wishes. I wish you all the best with your book, Christina. And thanks for your kind comments! Natalia, I love traveling via book. Right now I’m in England and China (reading a novel and a memoir). Hope you do get to Maine one day. It really is beautiful. We had a three week vacation in Boothbay this summer and I didn’t want to leave — ever. I love Maine, and you capture all the things I love (including the wealth of dogs) in this post. Beautiful. What a great interview, Mia & Julia! Mia, I love the story you share. My first year in Arizona is just as you describe. My heart was unmoved and I was desperately lonely to go home. After another year and a half, I cried when it was time to leave. It’s so comforting to know others have felt this way too. I have a good 9 years to go, until my son graduates from high school :). It’ll be interesting to see where I end up. I have a feeling an hour or two up the coast in my favorite town. What a fun story…and you lived it, Mia. (Sorry about your first marriage though.) Can’t wait to read the book…and Colin Firth? We have to wait till next summer? Poo. I love your story, Mia! And, what a transformation. From committed city-lover through conscientious stages of doing what you felt was best for your son, through the huge earthquake of a marriage breakup which birthed your book and quest, to a happy new way of seeing life and your surroundings. Inspiring and refreshing! Thanks so much, Kate. It was all a long time coming, but happy to finally get there in the end! I have enjoyed following Julia’s stories and photographs about the coast of Maine, and am glad you’ve teamed up to present your new book, Mia! It sounds wonderful. I, too, love coastal Maine — my favorite time there was when I drove the windy coast to photograph every lighthouse we could see. I came away with a bundle of great photos and a mind full of beautiful scenes. I look forward to reading your new novel, Mia! Congrats! I’ve loved Julia’s stories and pics too! I love when I recognize what she posts. Love the idea of photographing all the lighthouses–must have made a gorgeous album. What a great review, Julia! Mia, I used to live in NH and know how difficult it can be getting used to calling a new place ‘home’. Glad you finally got past that. The trip with you son sounds magical and wonderful, as does your novel. I hope you someday hear from Meryl in person. Till then, best of good fortune to you and you book! This book looks so good! I’ll definitely have to read it. Sorry I missed the giveaway, but that just means I’ll have to read it anyway. Sounds 1000% like my kind of book! Yes, meant 1000, not just 100.